The AC worked great. Loved the hammock, patio, and pool. The pool was great. The flowering trees were beautiful and the area was relaxing. It couldn't be better. The hammock and the living room set up was comfortable. 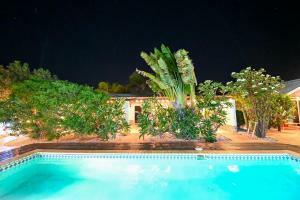 Pleasant staff, close to supermarket and tennis club. Good bathroom. Adequate kitchen and utensils. Decent cable channels. Loved the pool. Room was very comfortable. Nice bathroom. Heel hartelijk ontvangen geweest door de gastvrouw, zelfs omdat we last minute geboekt hadden. Zwembad (Swim up) en tuin is super om er te genieten. ‘S avonds is heel het resort verlicht met allemaal kleine lampjes. Appartement is klein maar is zeker niets mis mee. Propere kamers en uitstekende airco. Excelente apto para compartir en familia, Zulema es muy amable, muy cerca de la playa, obviamente se recomienda alquilar carro. Lock in a great price for White Beach Apartments Palm Beach – rated 8.8 by recent guests! 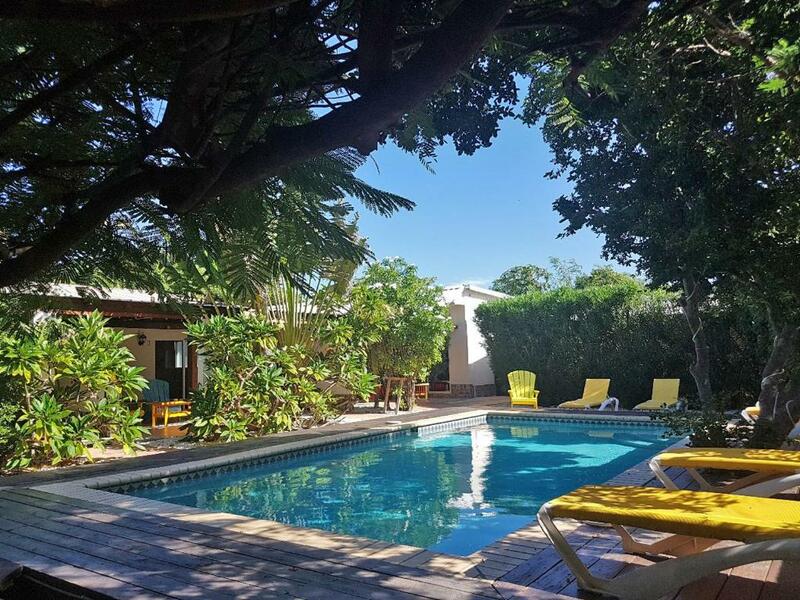 White Beach Apartments Palm Beach This rating is a reflection of how the property compares to the industry standard when it comes to price, facilities and services available. It's based on a self-evaluation by the property. Use this rating to help choose your stay! One of our best sellers in Palm-Eagle Beach! 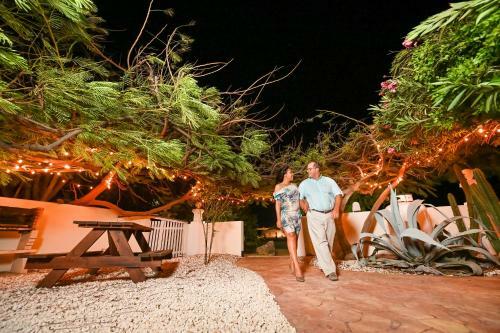 White Beach Apartments is just a 5-minute drive from the beautiful beaches and lively bars of Palm Beach, Aruba. It features an outdoor pool, with lounge chairs, and modern, air-conditioned apartments with a private balcony or terrace. 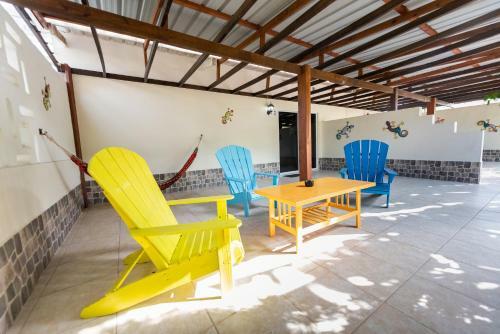 The apartments at White Beach include free Wi-Fi, flat-screen cable TV and a bathroom with hot water. The kitchen has a microwave, coffee maker and toaster. A local grocery store can be found nearby. White Beach Apartments is just 650 feet from the famous Tierra del Sol Golf Course. There are also kite-surfing and horseback riding schools in the surrounding area. Arikok National Park is around a 25-minute drive from White Beach Apartments. 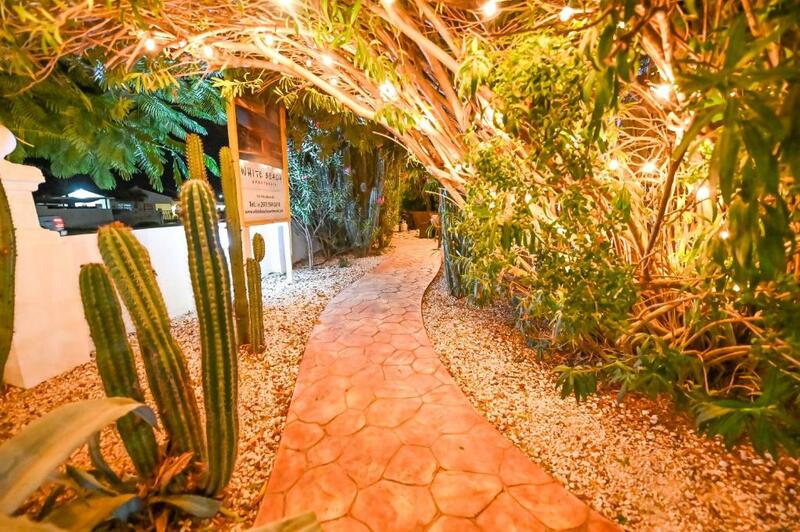 The old center of Oranjestad is a 15-minute drive away, while Reina Beatrix Airport is 20 minutes away. Free parking is available. When would you like to stay at White Beach Apartments Palm Beach? This modern, air-conditioned apartment features a double bedroom and a lounge with a sofa and flat-screen cable TV. It comes with free WiFi and a large private terrace. The kitchen includes a microwave, coffee maker and toaster. The bathroom has hot water. This modern, air-conditioned studio features a double bed, a sitting area and a flat-screen, cable TV. 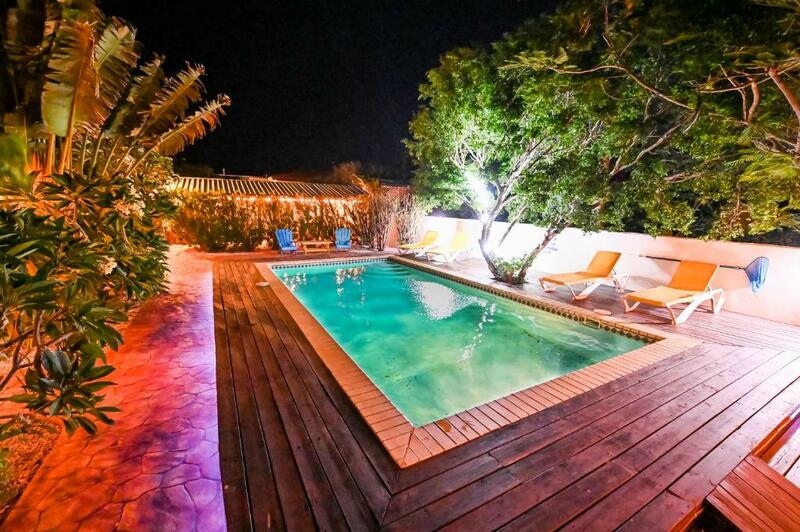 It comes with free Wi-Fi and a private terrace with a garden and pool view. The kitchen includes a microwave, coffee maker and toaster. The bathroom has hot water. This modern, air-conditioned apartment features a double bedroom and a lounge with a sofa and flat-screen cable TV. 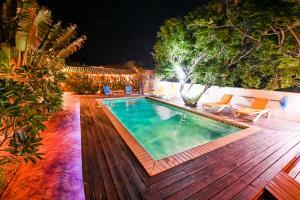 It comes with free Wi-Fi and a large private terrace with a garden and pool view. The kitchen includes a microwave, coffee maker and toaster. The bathroom has hot water. White Beach Apartments are fully equipped so you can independently live as if you live really on Aruba. But.... we are always available by phone, e-mail and whatsapp for all your questions and visit the park more then ones daily. At your service!! As a native Aruban, I enjoy being outdoors; hiking, biking and off course our beaches! I’m a DIY projects freak and love to cook! I fluently speak 4 languages, and understand Portuguese very well! Mine job is a great way to meet new people! 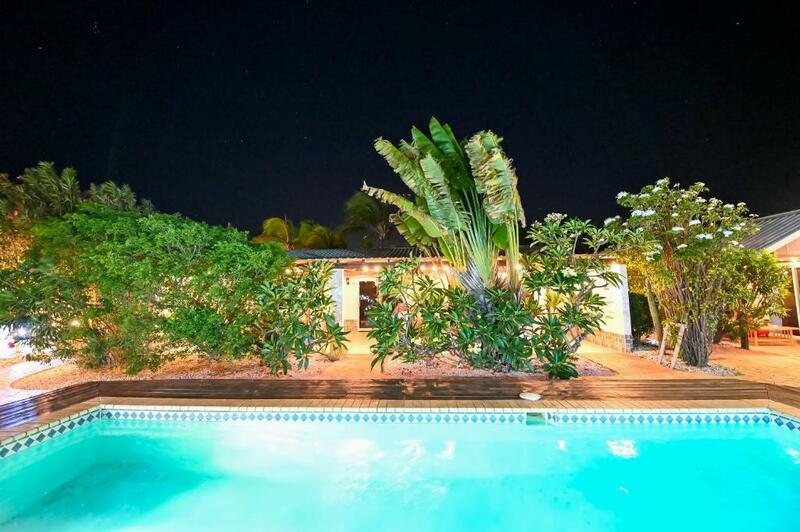 -Away from the crowd but only 5 car minutes away from the popular Palm Beach strip/nightlife & restaurants!! -Beaches: only 5 minutes to Malmok, Arashi Beach, Boca Catalina and Palm Beach. -100 meter nearby a local supermarket and ATM! -Super Food 8 minutes! -Parking for free in front of the park. 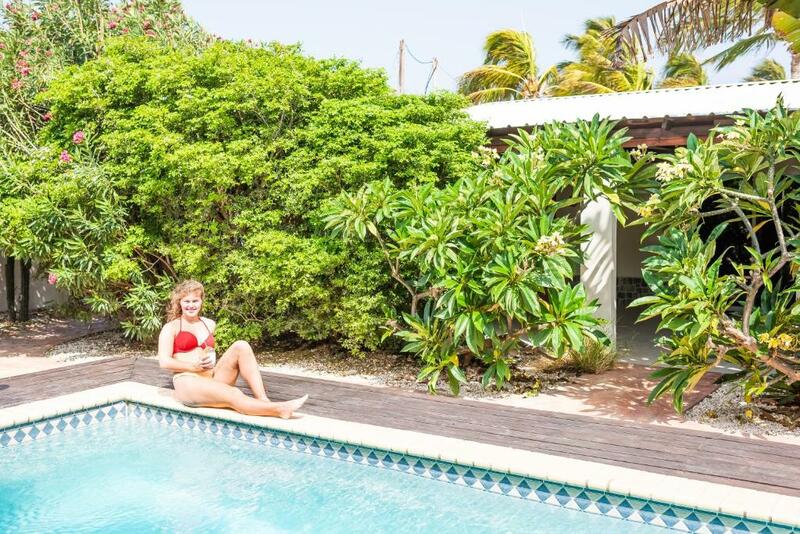 House Rules White Beach Apartments Palm Beach takes special requests – add in the next step! White Beach Apartments Palm Beach accepts these cards and reserves the right to temporarily hold an amount prior to arrival. Please note that (on top of service charge) you have to pay due at check in 25 USD for utilities. Please note that due at check in an extra servicecharge of USD 25 applies to stays of less than 6 nights. Please inform White Beach Apartments Palm Beach of your expected arrival time in advance. You can use the Special Requests box when booking, or contact the property directly using the contact details in your confirmation. The room was not cleaned very well. Bed was not very comfortable. Out door landscaping is beautiful! Bad mosquito problem inside and outside the apartment. Wish the apartment was an open concept. It would be much nicer than the little compartmental rooms. Quite small, sofa bed for 3rd person was very hard. 14" TV in living and only slightly bigger in bedroom. The apt. was very nice. But, the bathroom had a very strong sound. On the last 2 days they fix the problem and then it was great. The studio we stayed in was great for a couple.